Beers Made By Walking: Beers Made By Walking Sneak Peek with Boulder Beer Co. Beers Made By Walking Sneak Peek with Boulder Beer Co.
With the Beers Made By Walking festival coming up in Denver on October 10th, we thought we would create a few behind-the-scenes previews of the beers you can expect to taste. Throughout the summer, seventeen Colorado breweries have joined our program. They have each gone on a nature hike, or urban walk, and gained inspiration from the landscape. Each brewery identifies edible and medicinal plants along the way and creates a beer that showcases what they saw on the trail. These seventeen beers will all be on tap, for one night only, at Wynkoop Brewing. Today we are introducing our first sneak peek. 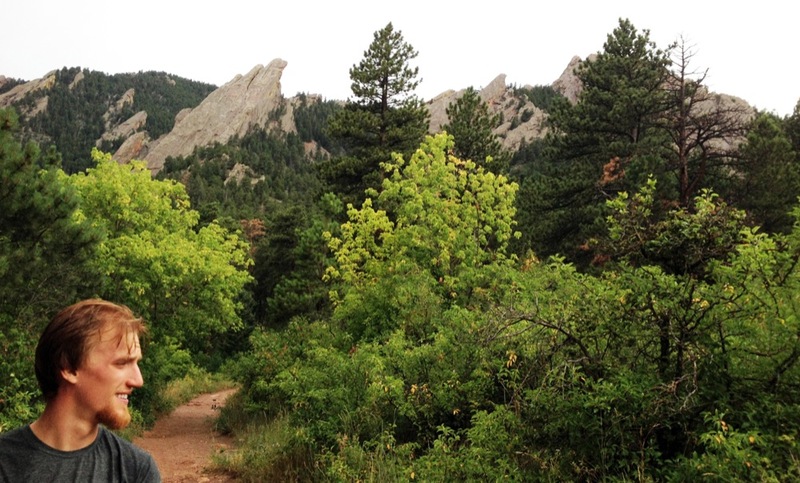 We'll tell you all about the hike that Boulder Beer Co. took, and what kind of beer they are creating for October 10th. The Boulder Beer Co. crew decided that they would hike in Boulder's famous and remarkable Chautauqua Park. The hike would lead them to a surprising 50+ variety of plants that ranged from wild plums to mullein. 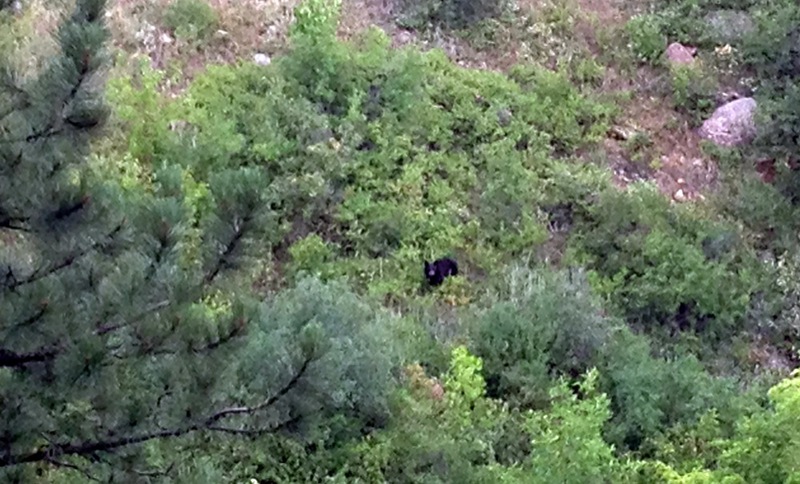 They even surprised a black bear at one point on the trail. 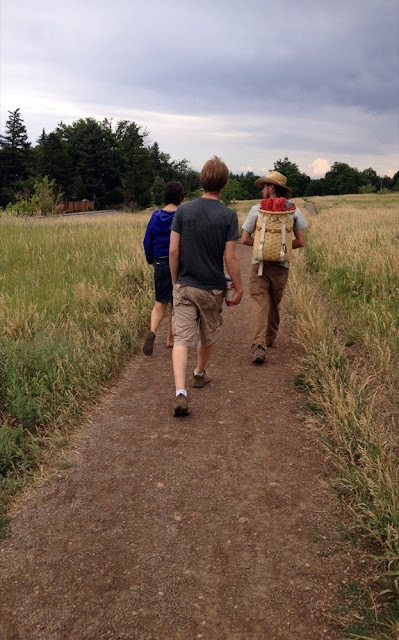 The three-hour journey began at the ranger cottage, and took a series of trails that led them across the green to the Bluebell Shelter and Gregory Canyon. 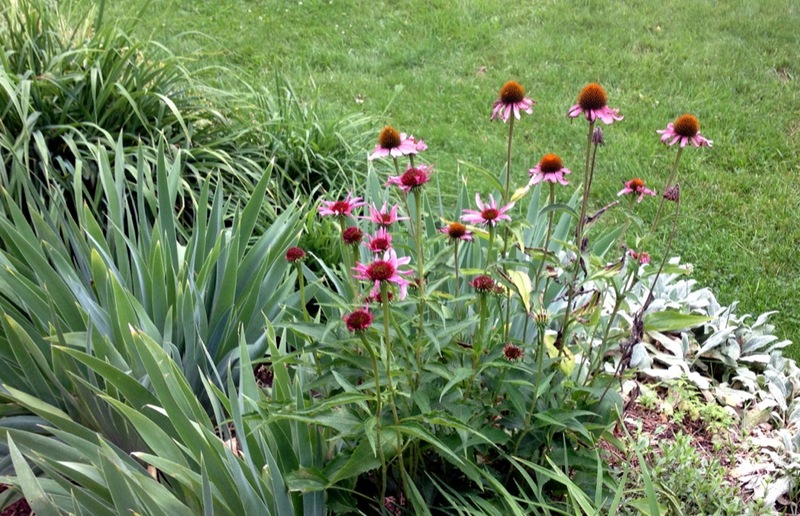 Almost immediately leaving the cottage the team discovered an echinacea plant. 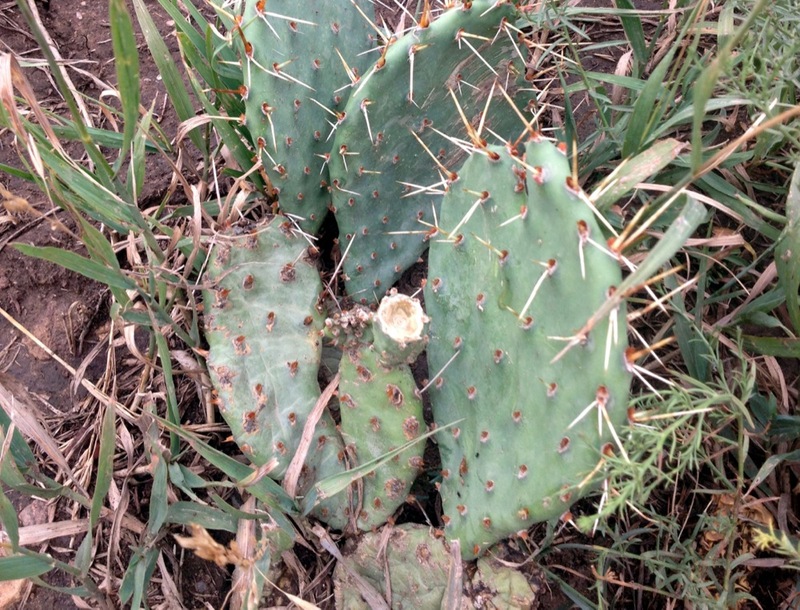 The plant has traditionally been used to help fight colds and cold symptoms. 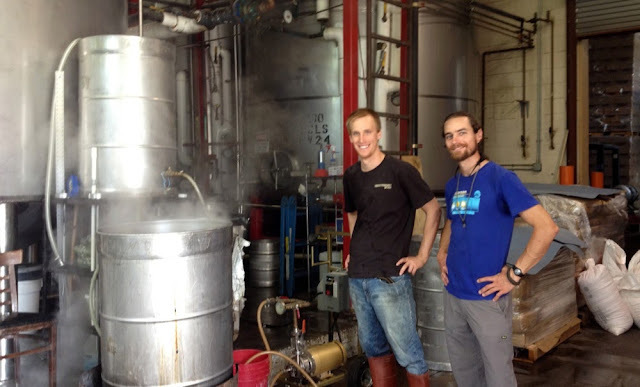 After spotting the echinacea, Sam Green, the Boulder brewer responsible for the Beers Made By Walking beer, knew their creation would need to take on some herbal remedy characteristics. The black bear across the canyon. They came across countless chokecherry bushes, as they grow incredibly well across the Front Range. 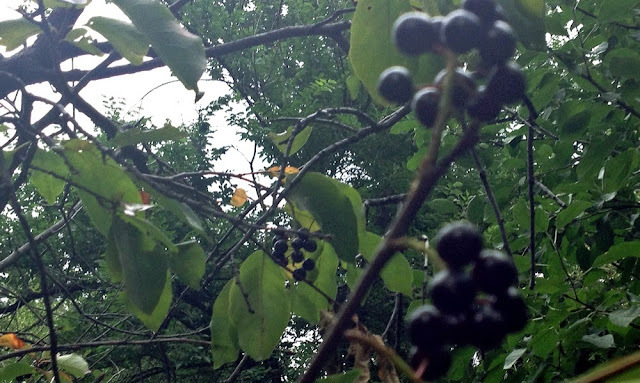 Chokecherries get their name because they are quite a bit tarter than your average cherry or berry, but with a little sugar they are quite nice to eat and they make a great jam. 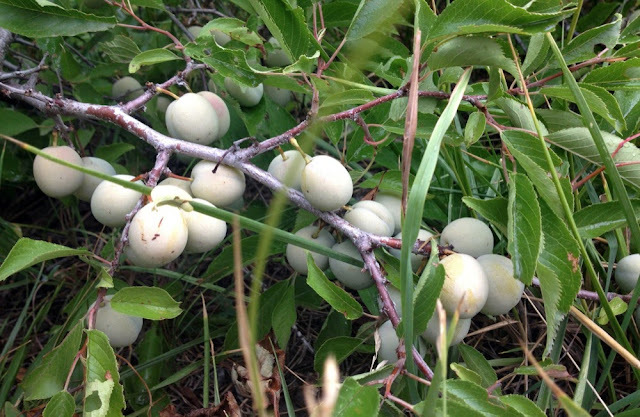 In previous Beers Made By Walking programs, chokecherries have been used in a Double IPA, a Saison, and a Lacto Sour Mash beer. They're tart flavor can be used in a complimentary way, or can turn into a sweet flavor depending on how they're used. 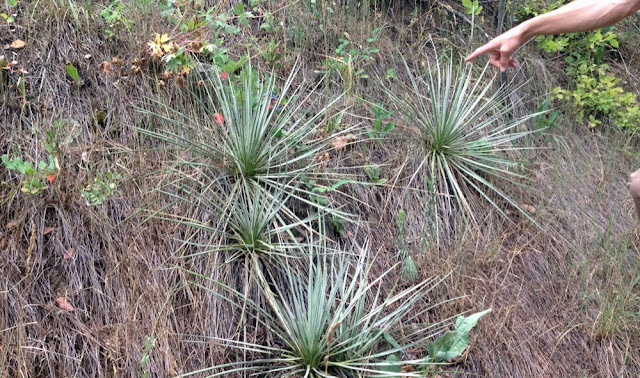 Some of the other plants they identified included Milk Thistle, Dandelion, Yucca, Mullein, Prickly Pear Cactus, and Mustard. Doug was able to share all sorts of information on the medicinal value of these plants. For example, we mentioned Echinacea, it is an herbal supplement used to boost immune function. 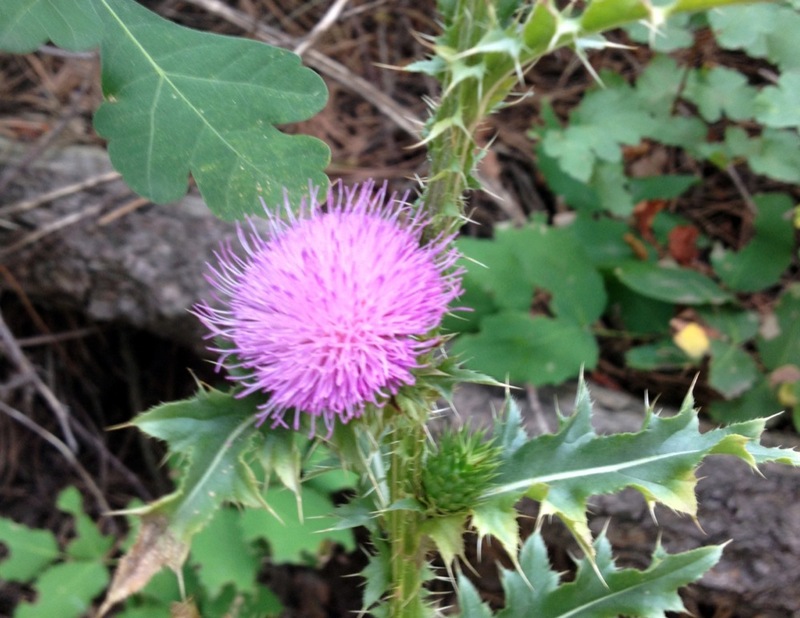 Milk Thistle has been used medicinally for several thousand years, traditionally recommended to protect the liver and treat liver disease. Some people claim it can help reduce and even prevent hangovers! 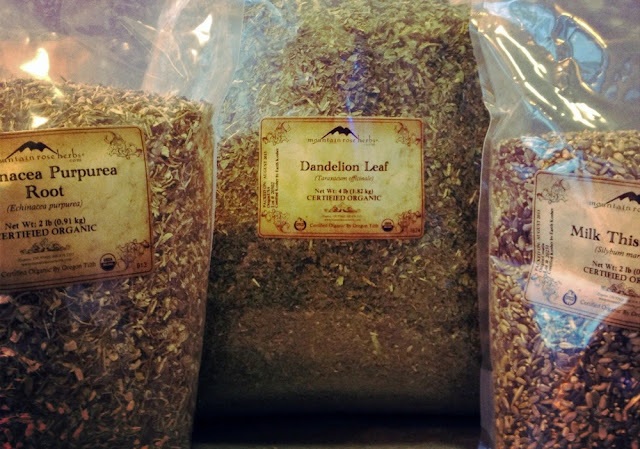 Dandelion, which grows everywhere, and is a wonderful bittering plant on salads, is recommended for liver problems, kidney disease, heartburn and upset stomach. Dandelion is also rich in vitamins C, D, A, and the B complex, contains iron, potassium, zinc, and natural antioxidants. 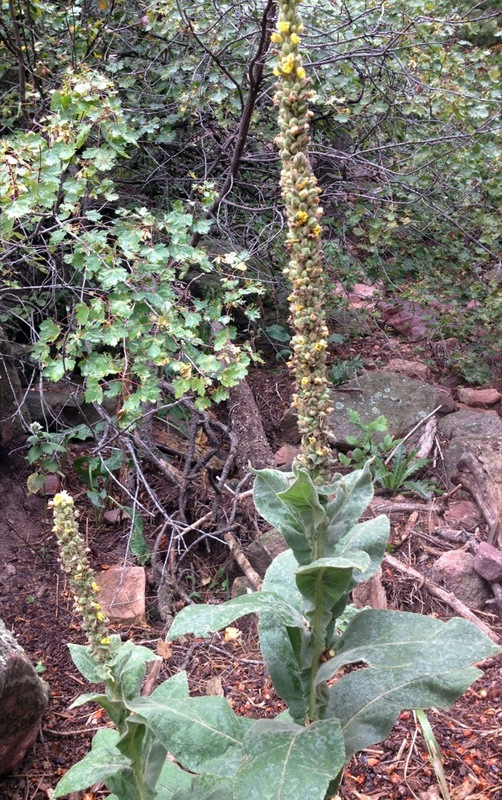 Mullein, which is easily identifiable by it's long pole-like stalk, is often seen near Colorado highways and has been traditionally used to treat respiratory problems. So, what did brewer Sam Green choose to use in this beer? 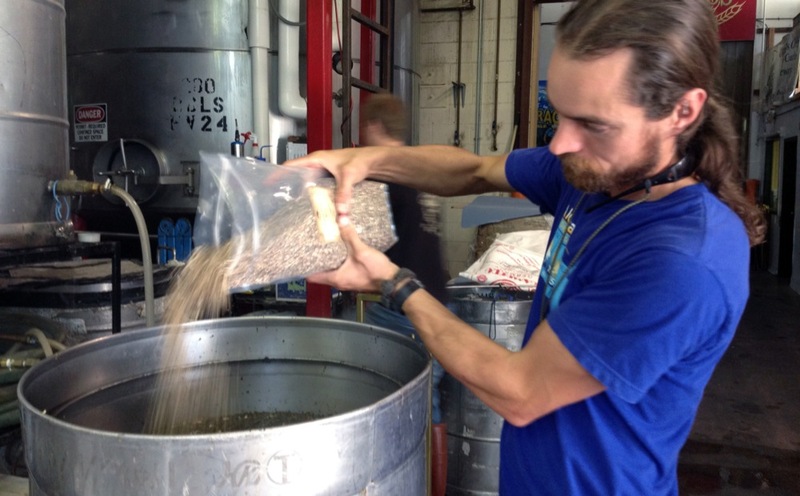 His overall goal was to achieve an herbal, healing beer using ingredients that could be used for brewing, teas, tinctures, and medicinal purposes. Many of these ingredients were big unknowns in terms of brewing beer. Many plants have little or no commercial examples, used in beer, that could calibrate what flavors to expect and how the beer will turn out. That's one of the exciting things about this program, these ingredients are experimental. "But that’s what makes it fun - constantly learning, adapting, adjusting and manipulating to make the unknown become a little less unknown,” says Sam. Some of the plants Boulder Beer will be using. In the end, Sam chose to make a beer called "Spirit Guide." It is a Chokecherry Stout brewed with generous amounts Dandelion & Milk Thistle for bittering and Echinacea & Chokecherries for flavoring. Sam also added some homegrown hops for good measure as well. 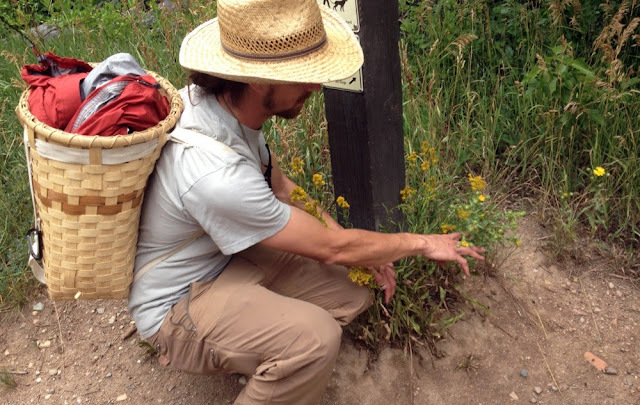 Check out the Sprit Guide Chokecherry Stout with Dandelion, Milk Thistle, and Echinacea, along with 16 other beers inspired by trails around Colorado on October 8th at Wynkoop Brewing in Denver. $30 will give you unlimited samples of all the beers and many of the brewers will be available to chat about their creations. The event is serving as a fundraiser for the Cottonwood Institute. Also, please stay tuned for more sneak peeks! You can get updates via email, you can join us on Facebook and on Twitter. Also, connect with Boulder Beer on Facebook if you haven't already. See you on October 8th! 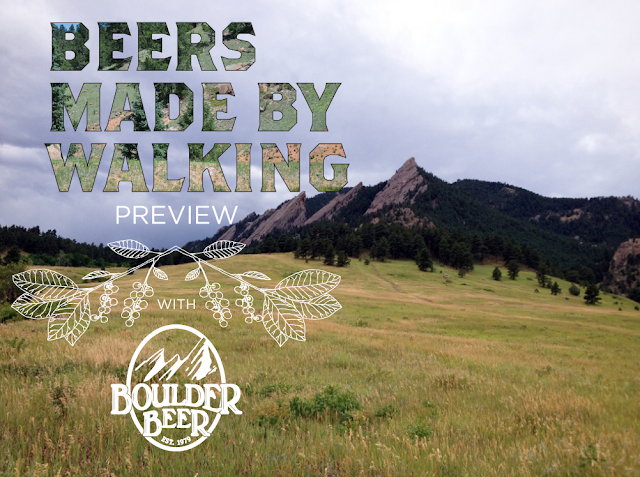 Beers Made By Walking is sponsored by Focus on the Beer, Wynkoop, and Denver's Westword. 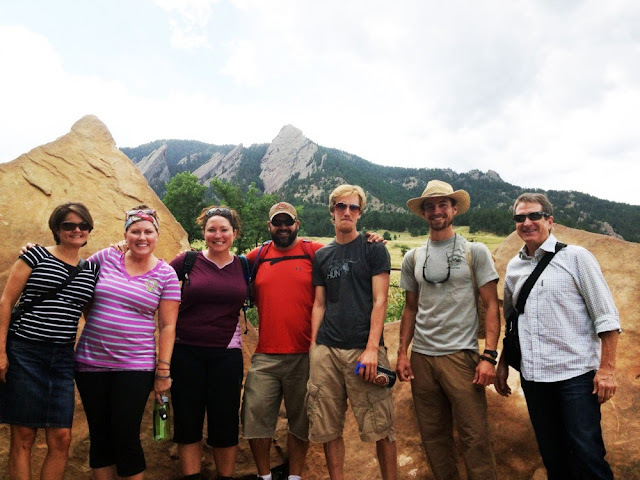 We would like to send a huge thank you to the Boulder Beer crew from the BMBW crew!